UPDATED: added some photos. Thanks to Regan House Photo for her permission. The resting doesn’t come easy for me. And now my nearly 4 year old is a whiny sick mess. But yesterday…. Yesterday was Priest Point Park (aptly named, no?). Just wild enough to please my soul. I sat in the trees while the baby girl toddled around. My boy was home with his papa, resting. A lazy bee buzzed around me in circles. A grey squirrel watched us from his perch on a tree. My friend and her children arrived and we went to play on the mudflats. Rocks, shells, mud, the subtle sound of the water oozing from the earth. Ravens, crab shells, sun, the smell of the sea. And a big blue heron flying overhead, alighting on a near-ish tree. Click here – Everyday Life Magic – to see pictures of the day. My friend, Rebecka, is a gifted photographer and she captured the joy of it all. No great spiritual insights, just Being Present. For now, that’s enough. 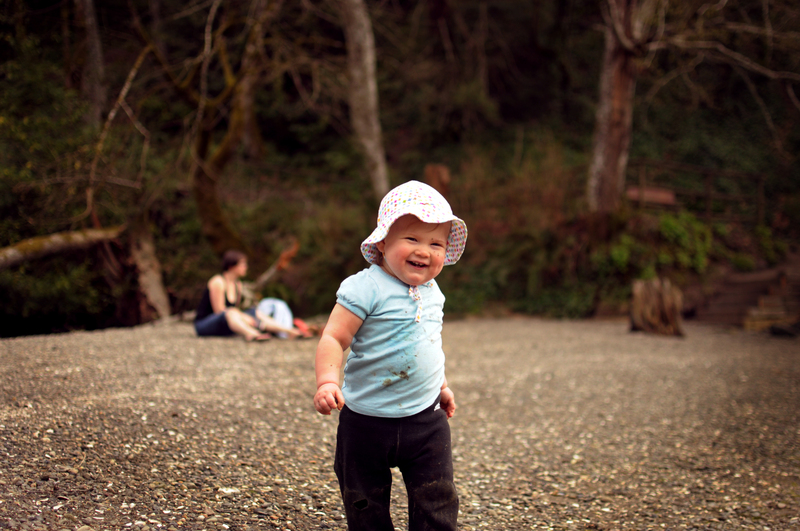 This entry was posted in Uncategorized and tagged family life, gratitude, land, Place, washington. Bookmark the permalink. Yes. It was so lovely. Let’s do this again and again and again. Little Miss Mud-Pie, Lady Astrid!